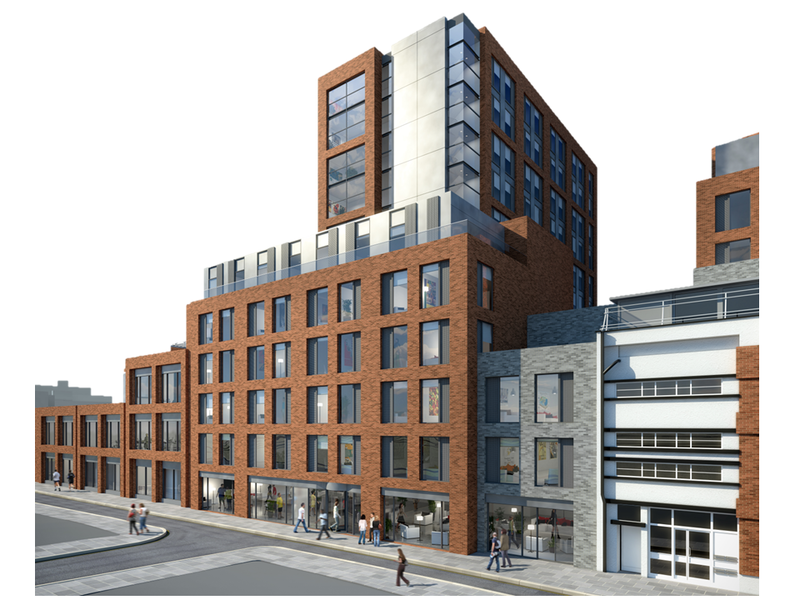 The scheme provided 847 modern student rooms, designed for contemporary living. Brookvent specialise in delivering innovative ventilation solutions, and, in total, we designed, installed and commissioned 642 Central Extract Ventilation systems servicing 847 student rooms. Working closely with our clients design team at every stage, Brookvent’s specialist technical team systematically set about designing an efficient ventilation system for each apartment. Using Mechanical and Electrical designs, the team transposed schematic drawings into a tailored, bespoke system design. This involved estimating the required ventilation rates and chartering the most effective duct route ensuring the optimum system performance whilst also considering other services. Brookvent proposed its highly efficient airstream 1.1E Central Extract Ventilation system for use within each apartment, offering lower running costs and only one exterior vent. In order to assist with accelerating our clients build schedule, Brookvent synchronised its service design and works planning with other trades over an intense six month period. From inception to completion we had a dedicated Design team, Contracts Manager and Project Management Team to deliver the project. Regular visits throughout the build, to monitor the contract, ensured everything ran smoothly across the four main stages of the installation process.